Entering Willy Wonka's chocolate factory was a once-in-a-lifetime opportunity for Charlie. But we all know Grandpa Joe would much rather have had a golden ticket to the Guinness Storehouse. For the first time ever, Guinness is going to allow someone to spend the night at the Storehouse and the Grandpa Joes of the world can rejoice. 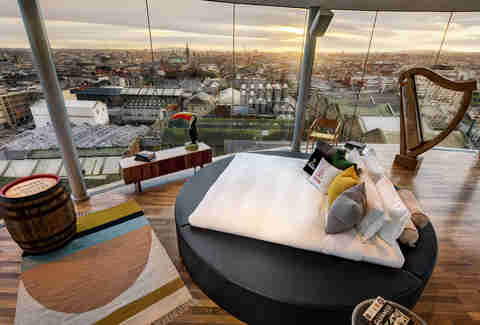 It's a joint promotion with Airbnb that will allow two people to spend the night in the Guinness Storehouse where Arthur Guinness -- who they list as the Airbnb host -- signed a 9,000-year lease in 1759. Welcomed by Domhnall Marnell, the Guinness Storehouse Beer Specialist, the winners get a big Guinness experience "behind the gate" at the St. James’s Gate Brewery. The night in Dublin also includes a look at the Guinness legacy throughout Dublin from the Guinness family home to hidden Guinness tunnels. 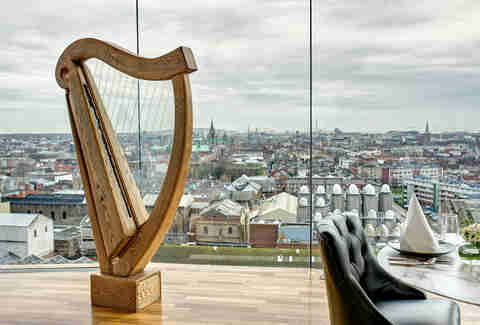 Oh, and there's a six-course dinner from executive chef Justin O’Connor at the Guinness Gravity Bar. 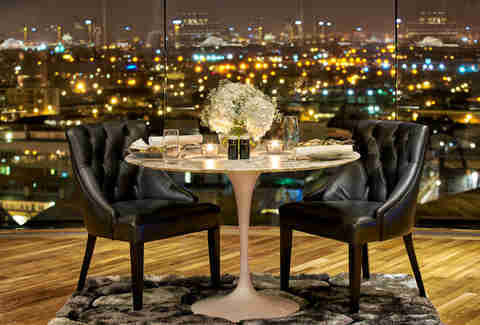 Additionally, the Gravity Bar is where the guests stay. 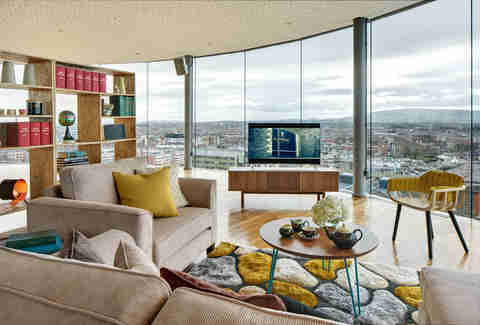 It's been transformed into a Guinness-themed penthouse decked out with treasures from the Guinness archive to compliment the 360-degree panoramic view of the Dublin skyline. 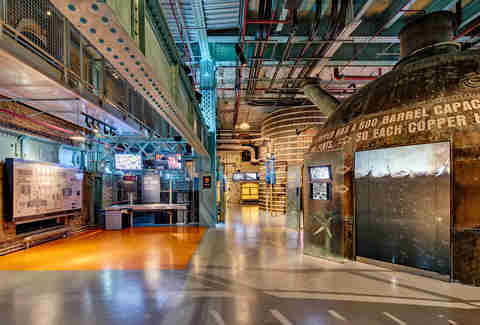 “The lucky winner will be stepping into our founder’s shoes and given the keys to a legacy experience that’s filled with hundreds of years of history,” said Paul Carty, Managing Director of the Guinness Storehouse. Unfortunately, the stay doesn't align with St. Patrick's Day and it is a contest. So, the odds of you spending the night next to the iconic toucan aren't too high. 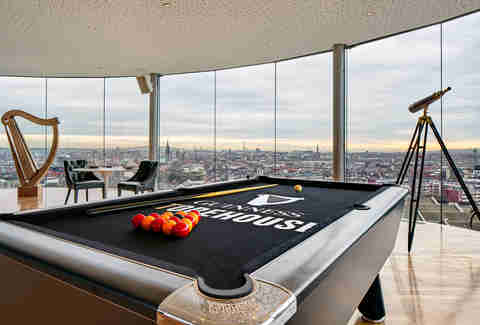 However, it's a unique experience and an interesting way for Airbnb to launch their "Night At" series in Ireland. The experience wraps up with the winners joining Guinness brewer Peter Simpson to make their own brew. That's even better than spending the night in the lair of the Teenage Mutant Ninja Turtles. Dustin Nelson is a News Writer with Thrillist. He holds a Guinness World Record but that's a totally different thing. Follow him @dlukenelson.